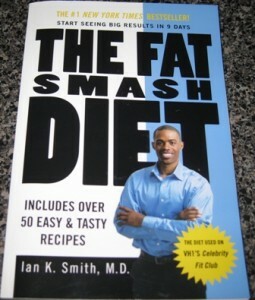 Wow….it seems like I was just working on my first post about The Fat Smash Diet, introducing you to the whole routine, and now we have completed all the most important steps, learned lots of great lessons about food and portion control, got into our daily exercise routine, and posses some great lessons for life. That is a sure thing. All is left to do now is to “Practice what we Preached“, and if we slip and fall occasionally, we know that is fine and totally fixable. We have the tools we need, the willpower to do it, and the determination to keep it up. We already know the rewards. Share all you have learned, with your family and friends! So how much did you lose and have you kept the weight off? Starting phase one tomorrow morning and super excited! Goal: 30 lbs and a sense of self, I can do this. but I am still walking, and try to stick to healthy between meal snacks, and watch my food portions. I gained 5 lbs back, and hope to lose these again, but will never allow the remaining 10 to come back. After you shape up, you really feel very guilty when eating unhealthy foods, which is a good thing. Although, it is OK to treat yourself once in a while to all the things you love and miss, then work a little harder to burn it off. Don’t think only about your appearance, keep in mind your HEALTH in a long run. Wishing you an enjoyable journey through this great way to lose weight and stay healthy. YOU CAN DO IT!! !